Sharing another warm-weather look today. I realize some of you may be still freezing your booties off, and frankly, it hasn't been the warmest of weather in these parts either, but it's mid-April and I'm basically over all things winter. 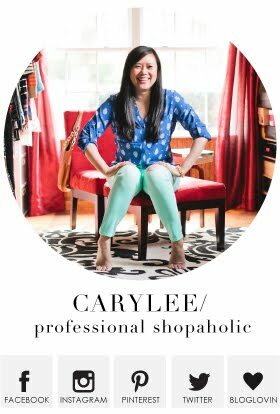 Last week's Sip and Style video I did with CS Gems made me even more excited for warm weather and I ended up ordering a lot of spring/summery things as a result! This top and these shorts being part of my new purchases! The crazy sales right now are not helping my cause either! I love shorts season so much, and I've been wanting a good pair of scallop-hem shorts! 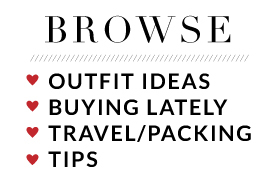 When I was on J.Crew Factory's website last week, these babies ended up being on sale for just under $20. The jewel-toned color is gorgeous! It was a no brainer to add them to my cart. I'm wearing a size 4. I also snagged a couple of One Eleven tops from Express, including this striped off the shoulder number. It's not as loose as a lot of the One Eleven tops run, but I still took this in my normal size small. It's very comfy and the shoulders definitely stay put off the shoulder. The navy stripe pairs perfectly with the green in these shorts! So, kind of a funny story about this jacket! I was traveling for work visiting a cafe that was in the middle of a remodel, so the bathrooms were not up and running. I walked around the shopping center to try and find a bathroom to use and wandered into an Anthropologie. I spotted this jacket on my way to the bathroom and ended up buying it. Oops! 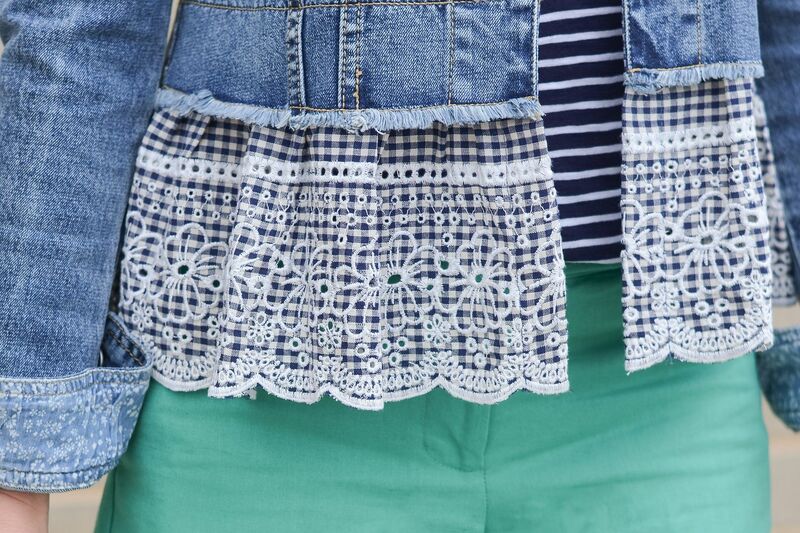 But it's such a fun twist on your normal denim jacket! The lace hem and the patterned cuffs - yes and yes! I sized down to an extra small. If this outfit doesn't scream spring, then I don't know what does! Simple pieces like a tee short and shorts, but with fun details to make them a bit special. Now if someone could get the weather to cooperate, that would be great! This is such a cute look and this jacket it amazing. I can't shop right now but if I could I would get it immediately. This is the prefect Spring and Summer outfit! Love the scallops and I must have that jacket!!! Soooo CUTE!! Such a cute Spring/Summer look! Loving the striped top and that jacket was such a great find! As much as I prefer to shop online vs in store, it really does pay (er...cost? whatever) to go in store sometimes since there are things I just wouldn't notice otherwise. This is adorable! Love the scallops on the shorts and the detail on the jacket! 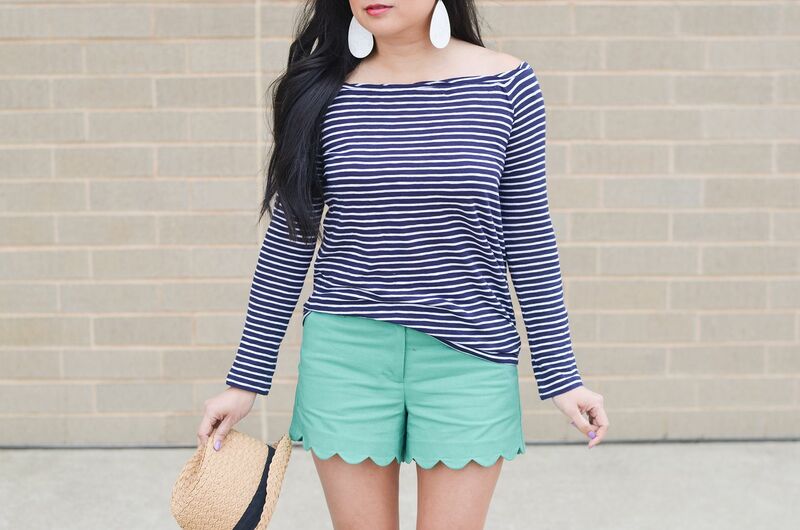 Those scalloped shorts are so cute! I love details like that!